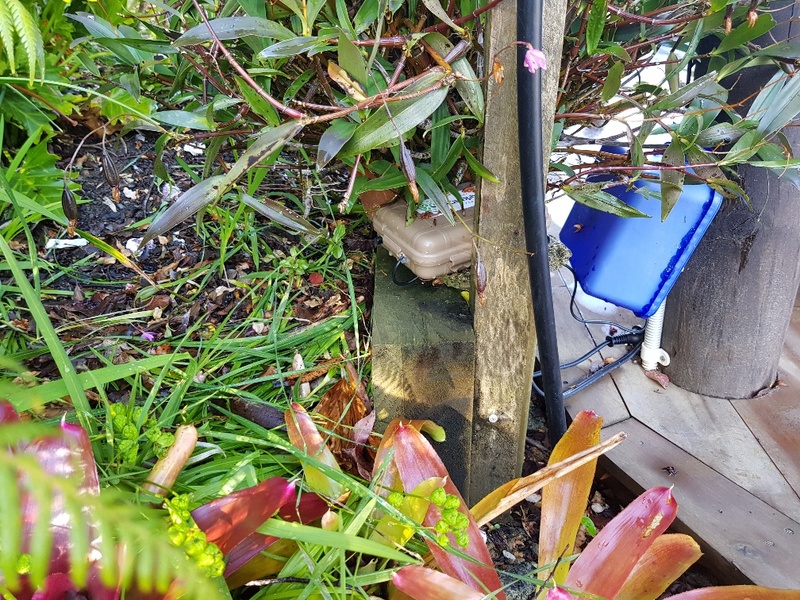 This article comes to us from Tim Armitage who has recently installed a Cacophonometer at his property to help monitor the effects of predator controls. Early October 2018 we received our Cacophonometer at our Sandspit home. The setup process was very simple with the app having been pre-installed and the main next steps being getting our account created online and the device registered. The location we chose was around 20 meters from our house (a site with power available) and a small WiFi extender soon fulfilled the coverage required to ensure the upload process was reliable. We soon had plenty of recordings to sample with the ‘meter following the pattern set by the software – i.e. greater intensity of records around dawn and dusk. Browsing the recordings at present is a manual process – a good pastime to work through over a quiet morning coffee where it’s easy enough to tag significant captures while multi-tasking. 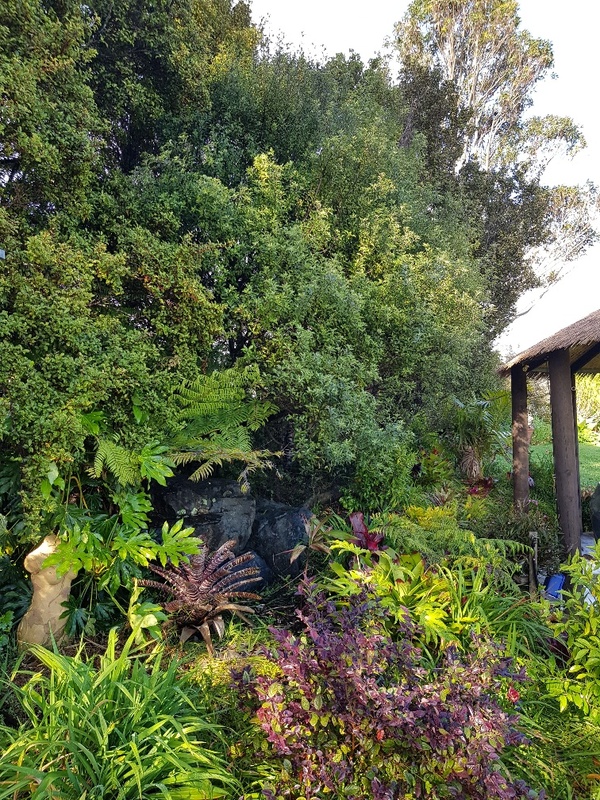 From our experience it’s clear that the recording position (see photos) and clarity is good, as per the attached example where the local kaka can be heard as part of the dawn chorus. The meter is positioned in an area where it should catch a lot of quality interactions over time. Since we moved to this area a number of key species have arrived, with the kaka now roosting in a nearby tree, having been absent entirely only 3 or 4 years ago. These will be good to look back on in years to come while our local pest control efforts continue. Our community spends a lot of energy on trapping and baiting so we’d expect overflow from Tawharanui to continue to enrich our area. We do see bellbirds occasionally now so we hope they might turn up more often in the trend. It will be interesting to see whether and what pests do get captured on the ‘meter – possums are pretty rare here nowadays but it will be great to know if and how often they’re about based on the recordings. We do trap and kill a fair number of stoats and rats each year but as evidenced by the Cacophony Project's research it’s likely only a fraction of what’s passing through. We’re looking forward in the years ahead to look back on these baseline recordings and to be able to reflect objectively/empirically on the progress made and the impact of pest control strategies and innovations.